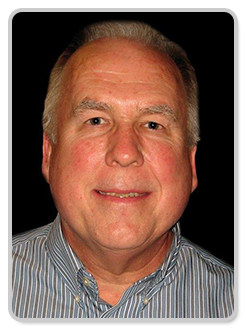 Erik Disen has spent more than 44 years in engineering management supporting Radio stations across the United States. He recently stepped down as Regional Vice President of Engineering for CBS Radio, now Entercom. He served as Chief Engineer for the Entercom stations in the Dallas-Fort Worth market for more than 20 years. Industry colleagues say that Disen's career embodies the concept that you should cherish the past and smartly embrace the future. He dedicated the past several years of his career to modernizing CBS Radio’s AM transmission facilities throughout the country, including the legendary KRLD-AM Dallas-Fort Worth. Under his stewardship, Disen modernized all of Entercom’s Dallas-Fort Worth stations to be fully digital, making the sound quality state of the art. "Erik's work breathed new life into our stations and ensured they can continue to be clear, reliable sources of news, entertainment and life changing information to millions of daily listeners," said Brian Purdy, Entercom Regional President. Over his decades in broadcasting, Disen has mentored countless young (and not-so-young) broadcast engineers, who are accountable and responsible for maintaining technical facilities, licenses and serving communities all over the United States. Disen's culture of helpfulness, initiative and volunteerism continues to advance the broadcast industry. He was integral in working with TAB to position KRLD and Texas State Networks as a key component of the statewide distribution system for emergency alerts. "Erik’s legacy of excellence is found not just in the fine work he did for so many Radio stations, but also in the team he built that will sustain our operations for years to come," Purdy said. "To him, an engineer is not supposed to just support the enterprise, but to lead the way in solving problems and improving efficiency for our team and listeners throughout Texas and our nation."